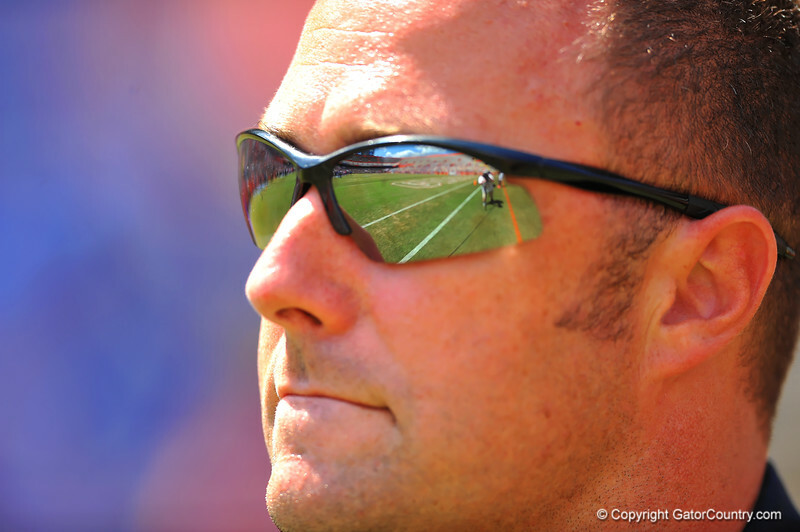 A view of the Florida Gator football field through the sunglasses of a Gainesville police officer on the sideline. 2014 Orange and Blue Debut. April 12th, 2014. Gator Country photo by David Bowie.